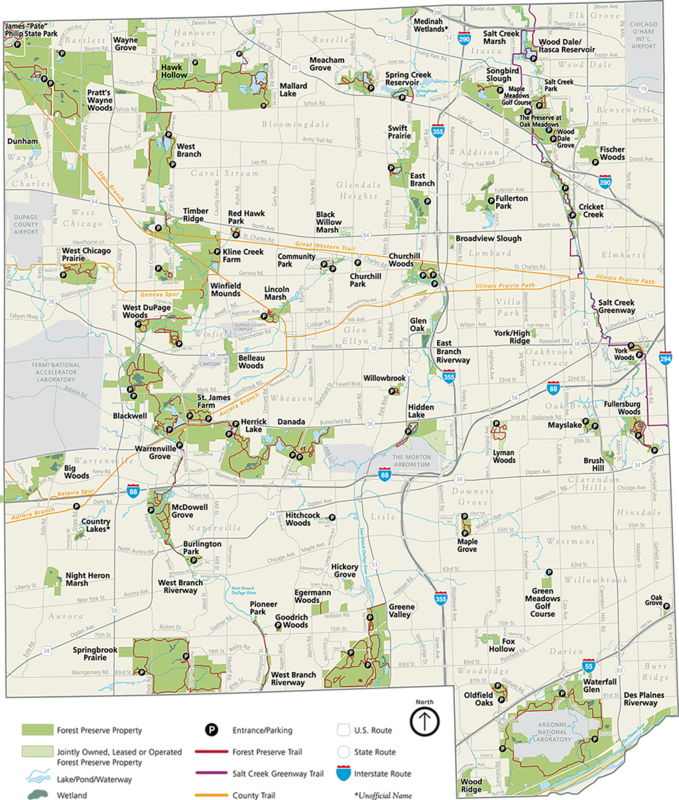 Each year more than 4 million visitors enjoy the Forest Preserve District's nearly 26,000 acres, 145 miles of trails and 60 forest preserves. That’s why we work hard to ensure these areas continue to offer great ways for you to "Take 5" to improve your mood, reduce stress and lead a healthier life! See our visitors guide for more information. DuPage forest preserves are open daily from one hour after sunrise until one hour after sunset, unless otherwise posted.